Last night I finally got some time to sit down and spend a little time with one of the many betas doing the rounds this month on the Xbox One, this after sampling what Battleborn had to offer earlier in the day. Doom is another game that while blowing my mind when being shown of at the Bethesda E3 show of last year, I kind of put to the back of my mind. As in truth I've never really been a doom guy. I think the first time I played a version of Doom was way back in the day on my older brothers pimped up PC, and while looking gorgeous of course, being a pad guy back then, the whole playing with a keyboard and mouse took a little getting used to. 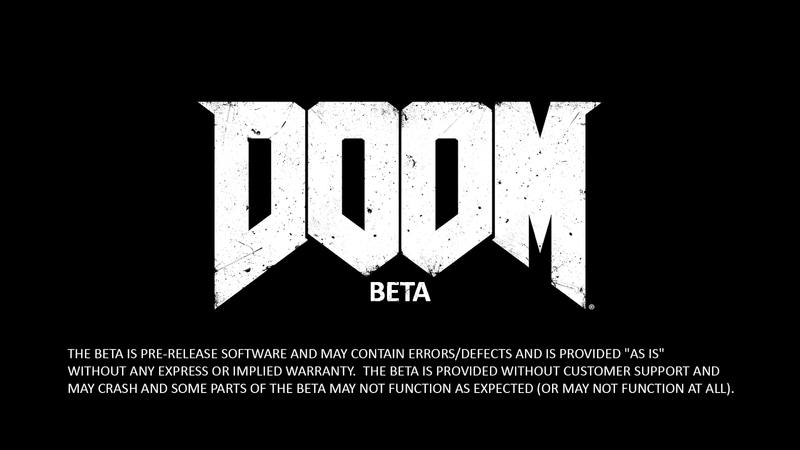 The latest version of Doom sees a beta running for it once again (after having numerous closed ones) over the next few days, so I downloaded it just to see if it would be worth checking out in the future. Doom isn't your standard online shooter of course, as I instantly got took back to my days of playing games like Quake and Unreal Tournament, both games I sucked at massively. Soon enough however I found myself getting a little better the more I got out of the mindset of playing it like a game of COD or Gears, as Doom is way more fast and frantic than games like those. Not fast enough however if you were to read a recent news post put out on the tech portion of the BBC website. Offering two maps with Heatwave and Infernal over two modes in Team Deathmatch and Warpath, what the beta lacks in playable content, it makes up for in fun that is so fast your brain will find itself working overtime to process it all. All I know is that the hour or so I spent on it last night was a load of fun, even with the clowns hugging onto super shotguns and scoring their cheap kills like their lives depended on it. I once again got that feeling that I used to get when playing the original Gears of War MP. You know, heart pounding the whole match and breathing like a crazed lunatic. The faces you only pull when no one is around as you look like you're out on day release. What I'm saying is Doom is a ton of fun to play, and if this is just a taste of what the full release has to offer, well It's looks like I better go pre-order my copy today. Doom will see a full release on Xbox One, PS4, and PC on May 13th.